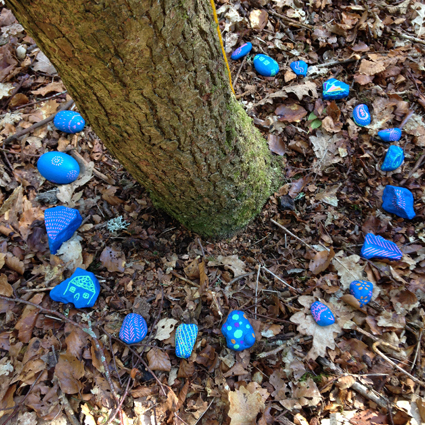 Last weekend for Easter I created a wee bit of magic in the woods with a trail in the countryside with clues and things to do for my family and friends. 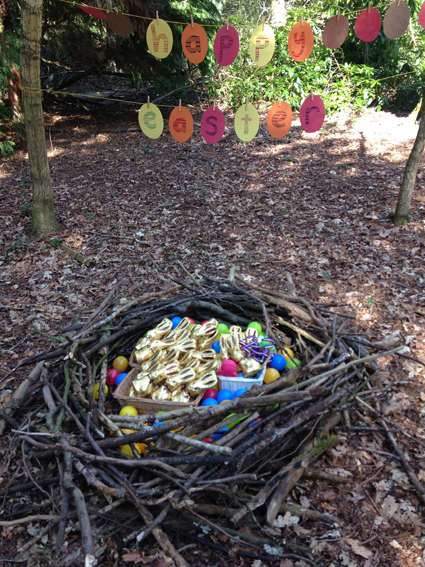 Ending in the woods where I created a giant nest filed with golden bunnies as prizes, blue painted stones round tree trunks and on a tree added some windows, doors and washing line to encourage a bit of imagination. 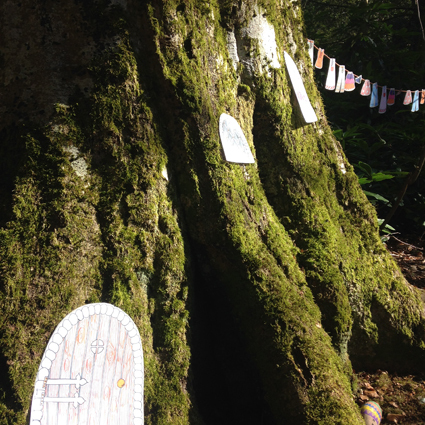 I loved playing and coming up with the idea for space outside and for everyone to experience the magic too. I think the adults enjoyed it as much as the kids! For me doing this brings together a few strands of me and my work with my love of nature and my scottish surroundings, love of adding a bit of colour and pattern and the current development work I have been doing for Angus Council Schools & Learning in partnership with the Ranger Service to develop a resource for schools and nurseries to use in their outdoor venues. 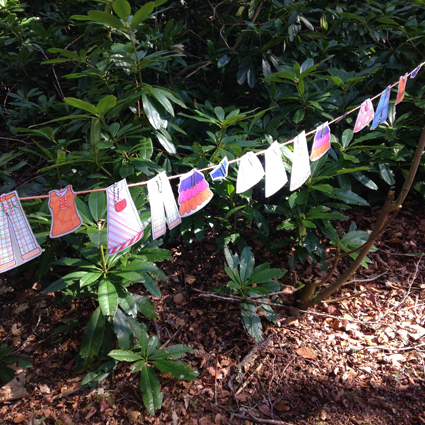 I think you’re never too old to play and be creative outdoors! It really invigorates me and I think engaging with nature has really good positives for curiosity, learning and wellbeing. 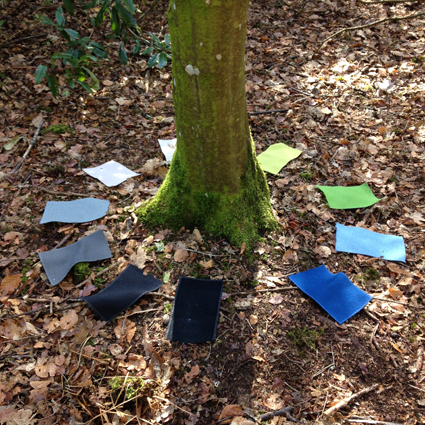 This entry was posted in Work and tagged Artist, colour, community, designer, event, experience, land art, Louise Kirby, nature, outdoor art by Louise. Bookmark the permalink.